The Gold Industry Group is the major sponsor of the Kalgoorlie-Boulder Chamber of Commerce and Industry‘s ‘Explore the Goldfields’, a community expo providing new and existing residents with an opportunity to find out what the Goldfields has to offer. 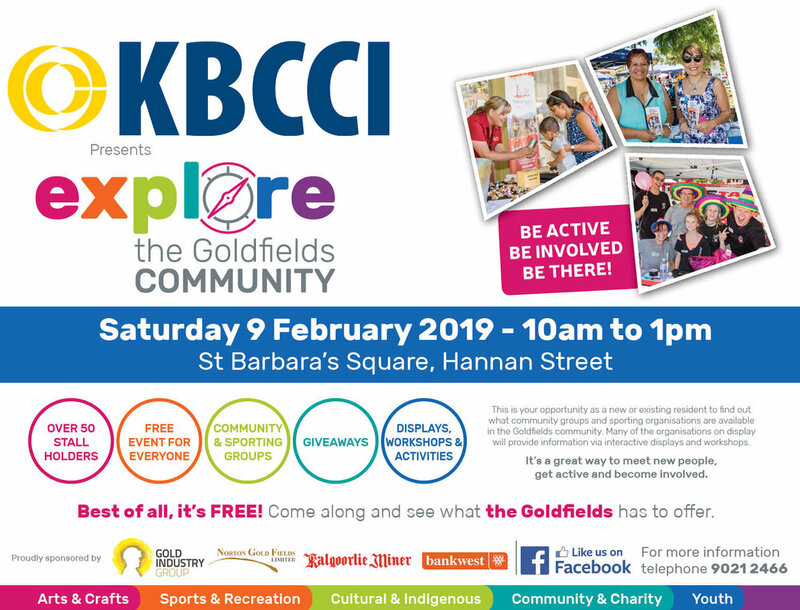 Sponsored by the Gold Industry Group and Norton Gold Fields, the one-day event will be held in St Barbara’s Square on Saturday 9 February 2019 will see 60 local businesses, community organisations and sporting clubs to promote what the City of Kalgoorlie-Boulder has to offer. This is a free community event, open to the public. For stallholders expressions of interest, visit the website.